In honour of National Chocolate Week, we've put together some of our favourite ways to enjoy the nation's favourite treat. From healthy chocolate snacks to ways to amazingly-indulgent chocolate drinks...here are 39 unexpected ways to enjoy chocolate. 1. Chocolate French Toast: add cocoa powder and vanilla extract to your egg mixture when making french toast. Serve with maple syrup, blueberries and greek yoghurt for a deliciously indulgent weekend breakfast. 2. Chocolate muesli: add cacao nibs to muesli for adding crunch, flavour and antioxidants! Who says chocolate isn't healthy? 4. Homemade chocolate spread: who doesn't love chocolate spread on toast? Avoid Nutella though, it's full of sugar. Make your own using hazlenuts, coconut oil, maple syrup and raw cacao powder - just blend until smooth et voila! Store in a jar in the fridge. You could also try adding cocoa powder to hazelnut butter and experiment with the taste. Or cheat, and just buy good quality artisan chocolate spread instead! 6. Chocolate Nice Cream: Blend a frozen banana with 2 tbsp raw cacao powder and 1 tbsp of date syrup. No need to freeze! This immediately takes on a soft-serve ice cream texture. Serve with more chocolate sauce made from raw cacao powder, date syrup and a little warm water, and top with chopped fruit. 7. Healthy Chocolate Mousse: blend together 1 avocado, 2 tbsp raw cacao powder, ¼ tsp himalayan sea salt and 1 tbsp of maple syrup until smooth. Serve immediately for a decadent but sin-free dessert. 8. Chocolate Energy Balls: mix together walnuts, raw cacao (or cocoa) powder, dates and almond or peanut butter in the food processor. Roll the mixture into balls then chill in the fridge. An easy and tasty energy boost, packed with Omega 3 and essential amino acids. 9. Chocolate Chia Pudding: mix together 4 tbsp chia seeds, 250ml milk (or any dairy-free alternative), 3 tbsp of raw cacao and ½ tbsp of maple syrup. Pour into a bowl and leave in the fridge for a few hours or overnight. To serve, sprinkle with cacao nibs and coconut chips. This is great served with fresh or frozen berries too. 10. Chocolate Decadence Smoothie: blend together milk (or a dairy-free alternative), half an avocado, half a chopped banana, a handful of medjool dates, 1 tbsp of raw cacao powder and 1 tbsp almond butter. Pour into a glass and decorate with chia seeds, cacao nibs and goji berries for a nutrient-dense superfood boost! 11. Chilli: add a couple of squares of dark chocolate next time you’re making a chilli con carne (or sin carne). The chocolate will help bring out the flavour of the chillies and add richness. 12. Mole: hailing from Mexico, mole is a thick sauce made with an eye-watering list of ingredients. Chillies, ground spices, nuts, tomatillos and dark chocolate are all pounded together and mixed with stock, to make a rich, flavoursome and totally unique sauce which is usually served with meat. Look up Mole Poblano online. 13. Barbecue sauce: ribs, burgers and pulled pork, all taste great with barbecue sauce. Even more so when the sauce is enriched with the taste of smooth, dark chocolate. Don’t overdo it, but add a cube or two and savour the taste. 14. Beef and Guiness pie: Clodagh McKenna adds dark chocolate or cacao nibs to the gravy in a rich, comforting recipe for Beef and Guinness Pies with Chocolate. We can’t wait to give that one a try! 16. Chocolate Meringues: fold chopped dark chocolate into meringues before baking and serve with double cream. 17. Chocolate Bread & Butter Pudding: add grated chocolate and orange zest to bread and butter pudding before baking. Delicious! Don't over-do the chocolate, a couple of spoonfuls is enough. 18. Death by Chocolate Trifle: add cocoa powder when making the custard for your trifle, soak the sponge in chocolate liqueur instead of sherry, and top with grated chocolate. One for the real chocaholics! 21. Chocolate Tea Pot: yes, a chocolate teapot that is actually useful! Shokolat have made a teapot out of solid chocolate. Fill it with hot water and cocoa, then pour out a deliciously rich hot chocolate. 23. Wasabi Chocolate: Here’s one flavour combination you might not have thought of! Masterchef finalist Adam Handling has combined wasabi with white chocolate to make a must-try chocolate bar. Sweet and heat, it's deliciously different. 24. Chocolate Fruit Cake: it’s like two of our favourite cakes met and had a baby, this would be the incredible offspring. 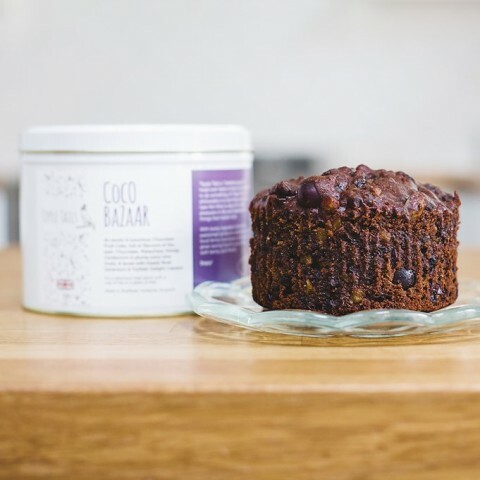 A rich, indulgent fruit cake, drenched with Turkish Delight liqueur. All praise Jane Stammers of Tipple Tails! 26. Chocolate Pizza: well, someone had to do it! A genius idea from The Gourmet Chocolate Pizza company. A slim crust of Belgian chocolate is topped with freeze-dried strawberries and edible champagne sparkles...what's not to love?! 27. Ultimate Hot Chocolate (base recipe): melt high quality dark chocolate in a bowl over a pan of hot water. Meanwhile, warm 400ml of full cream milk in a saucepan. When the chocolate is melted, stir in in around 100ml of the milk to make a smooth paste. Once combined, whisk the chocolate mixture into the pan of warm milk and continue to warm. Don’t let it boil. Pour into a mug and sweeten to taste. Top with gourmet marshmallows and enjoy! 28. Dairy-Free Hot Chocolate: whisk together 1tbsp of raw cacao powder with a little dairy-free milk, 2 tsps of date syrup or maple syrup to form a smooth paste. Whisk this mixture in to a pan of warmed dairy-free milk, then pour into your favourite mug. You could also melt dark chocolate, rather than using raw cacao powder. 29. Bullet-proof Hot Chocolate: add 1 tbsp of coconut oil to either of the recipes above, then blend. 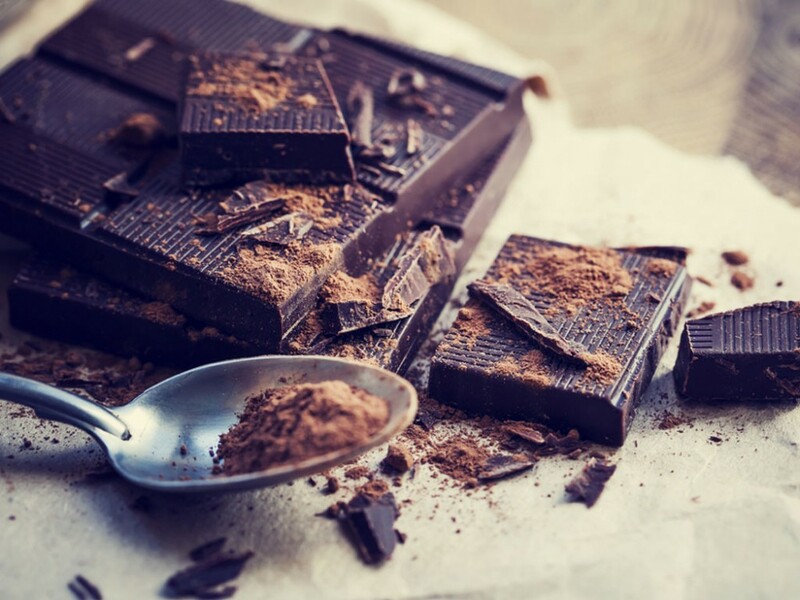 An easy way to get some healthy, metabolism-boosting fats and enhance the taste of your chocolate! 30. Chai Hot Chocolate: add a cinnamon stick, grated nutmeg, 4 cloves and 4 cardamom pods to your milk when warming. Turn the heat off before it boils, and allow to sit for a while for the flavours to infuse. Strain before adding your melted chocolate as per the recipe above. Or cheat and use Chai Tea spice drops! 25. Choccocino: melt grated chocolate into a cup of frothed, warm milk. Great for kids. 31. Chocolate Freakshake: Blend together hot chocolate powder, full cream milk, a drop of Vanilla extract and ice to make a chocolate milk shake. Top with whipped cream and decorate with gourmet marshmallows, pretzels and a handmade chocolate brownie. 32. Vegan Chocolate Freakshake: make the milk shake above but using almond milk, date syrup (or agave) and raw cacao powder. 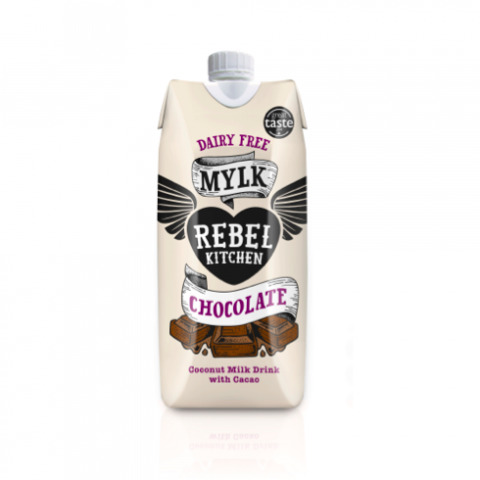 Or cheat and use Rebel Kitchen's Choco Mylk! To top, use the top of a can of coconut milk to make vegan whipped cream, and decorate with raw, organic chocolate truffles. Heaven! 33. 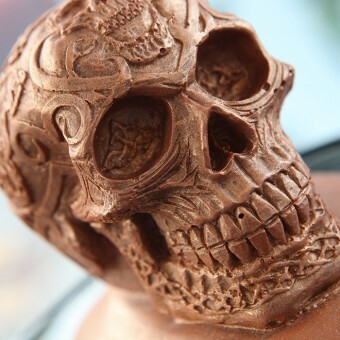 Chocolate Vodka: melt a 100g bar of good quality dark chocolate in a bowl over hot water. Pour into a bottle, pop in a vanilla pod and fill up with vodka. Cap, shake, and leave for at least one month to infuse. After a month, strain and it's ready to use in cocktails or to give as a gift. 34. Homemade Irish Cream Liqueur: mix together 2bsp good quality cocoa powder and approx 50ml full milk to make a smooth paste. Add to your blender with 250ml of single cream, a tin of condensed milk, 2 drops of vanilla extract, 2tsp instant coffee dissolved in water, and 350ml of whisky. Blend, then pour into a sterilised bottle and keep in the fridge. Also great if you use brandy instead of the whisky. 35. Dairy-Free Irish Cream Liqueur: as above, but use raw cacao powder, coconut milk and coconut cream. 37. Chickpeas: no, really. Make a healthy snack by coating tinned chickpeas (rinsed and drained) in coconut oil, ground cinnamon with a tiny pinch of salt. Cook in the oven until crisp (around 30 minutes) then allow to cool. Once completely cold, roll in melted dark chocolate and cool in the fridge. A moreish snack that's full of fibre and protein too! 38. Beetroot: chocolate and beetroot cake is an absolute winner as far as we're concerned. Nigella Lawson first introduced us to this classic combination and we've been hooked ever since. 39. Sweet potato: the mellow sweetness of sweet potato tastes great with dark chocolate. You'll find lots of recipes for sweet potatoe brownies online, give them a try! We're planning to try sweet potato pancakes with chocolate sauce very soon, we'll let you know what it's like. Do you have any other ways to use chocolate? We're always on the look-out for creative ideas! Let us know if so by leaving a comment below.